Our 11th day on the road, and 14th day away from home started after a lovely night’s sleep. While I fell asleep very early, Daegan stayed up and enjoyed the decadence that is cable television (we have never owned a television since well before he was born). Breakfast today was all of the carbohydrates we could grab at the hotel breakfast: pancakes, bagels, toast, and also some yogurt, juice and lots of coffee. We got on the road and found that once we had lower temperatures to deal with the directions provided by the Cross Vermont Trail Association made much more sense. We left Williston, Vermont and slowly headed southeast, stopping at the first grocery store we could find to stock up on energy bars and other snacks. We also were lucky enough to find powdered Gatorade which was great as up until then we had been just buying liquid and diluting it. Having the powder meant we could be sure to always have electrolyte-replenishing drinks without carrying tons of weight. 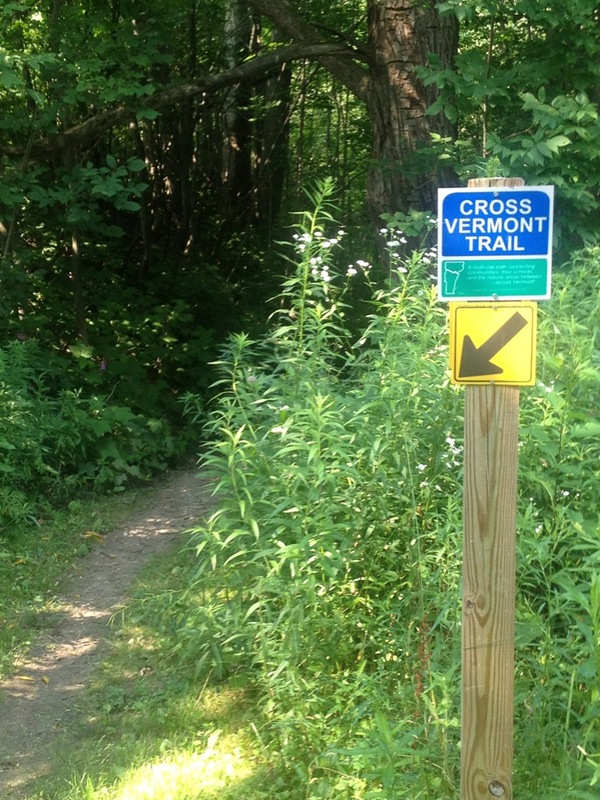 The Cross-Vermont trail was relatively nice. It consisted of mostly lesser-traveled roads including a few dirt roads. 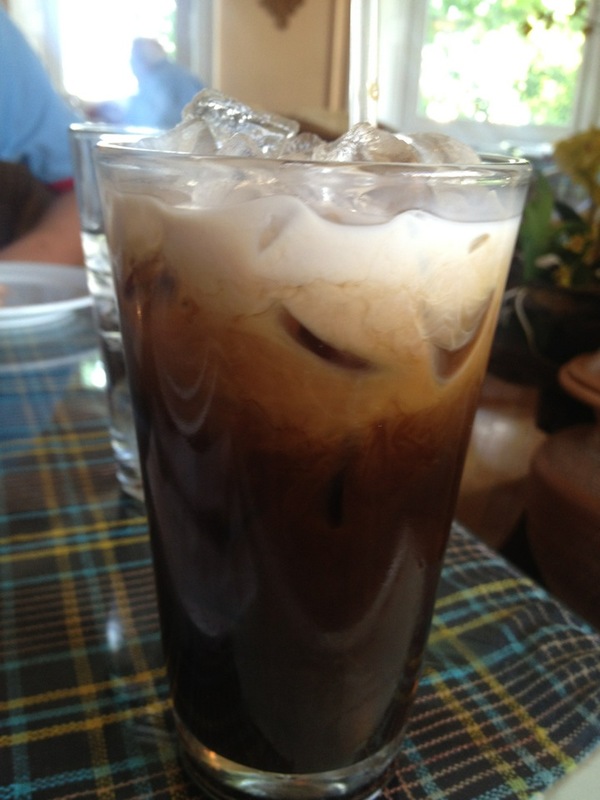 The roads took us through picturesque New England towns and down back roads past dairy farms. Unfortunately it also took us down one pretty narrow path through an insect-plagued swamp with a bridge that had a surprise drop-off at the end causing a very jarring drop (but not fall, very surprisingly!). 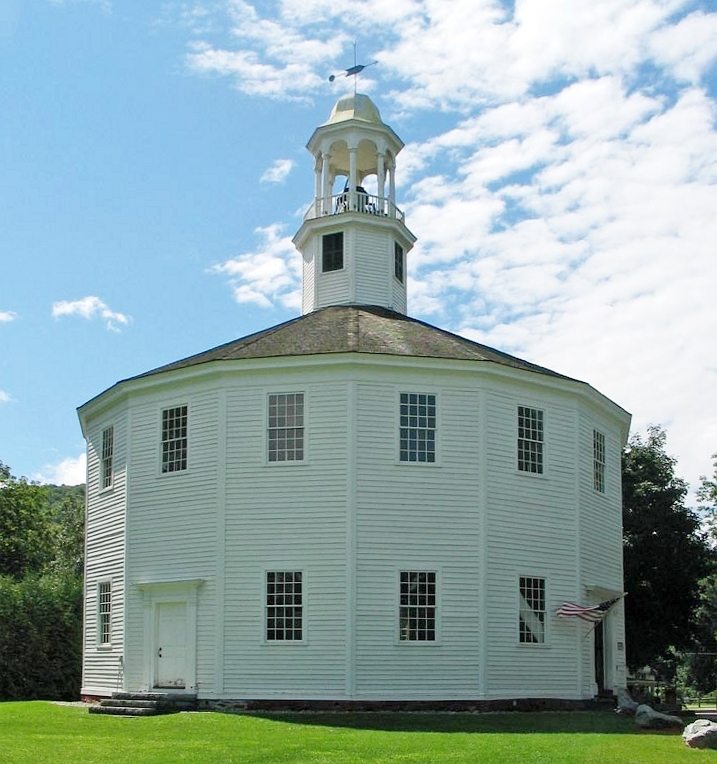 Our first long stop was Richmond, VT, home to this lovely round church (This photo and interior photo courtesy of Jared C. Benedict). While we were there we talked to the volunteer there who told us about how at one time this was the only church in town and was shared by several denominations until the population got to be large enough to support more than one church. 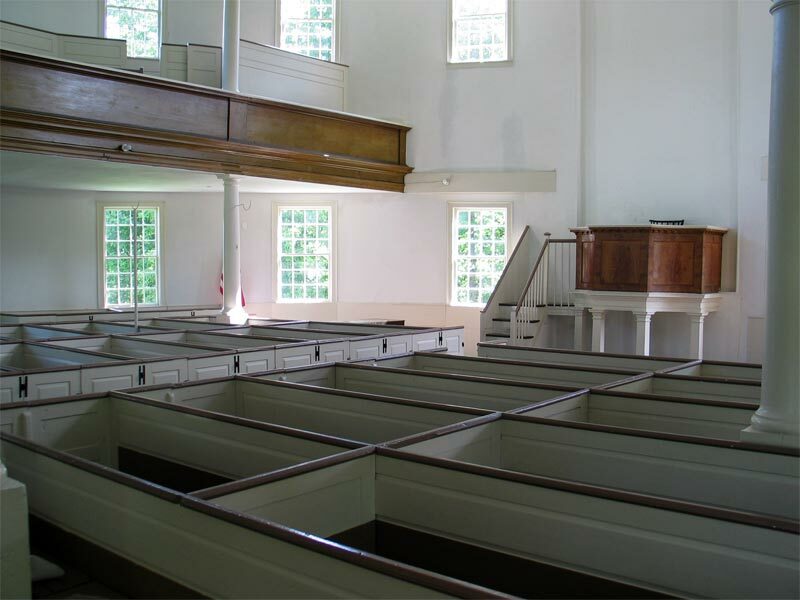 The building hasn’t been used for worship services for some time now, and was used up until recently for town meetings. Other than that, it was still used a lot for weddings – I can see why as it is really gorgeous inside. As we left Richmond it began to get noticeably warmer and the hills got a bit larger. The chorus of “What goes up…must come down…” started up but with the heat being what it was, we ended up stopping part way up one of the hills to have a shade break and a bit of water. While we stopped, an older gentleman (he later told us he was 77 years old) pulled alongside us on his bicycle. He was also out for a ride – “only about 20 miles round trip – not long like your ride” (if I’m doing 20 mile rides on hot and humid days like that when I’m 77 I’m going to be very pleased with myself). Just before we continued on, he told us that about 10 kilometres ahead there was an excellent swimming hole. We needed only to watch for the sighs for Camel’s Hump State Park and stop at the turnout across the road from there. We thanked him and headed on. True to his word, there was Camel’s Hump, and there was a turnout. 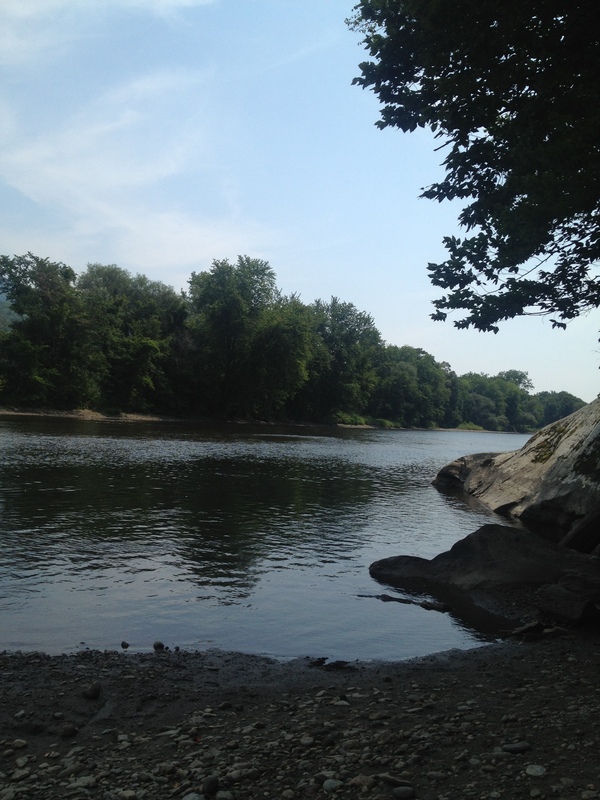 We parked the bike and headed into the bushes to change into bathing suits and a few steps away was the Winooski river. We made our way down and cooled off, spending over an hour basking in the water, snacking on energy bars and being snacked on by minnows. Not long after we got there the man who recommended the stop to us showed up and seemed a bit surprised that we’d stopped. “I’m glad you came! Not many people take my advice!” They definitely missed out for sure. We had a lovely oasis to ourselves for most of the time – our friend even left after a little while – but not before telling us about his own bike tours including a hill that was impossible to even push a bike up in Australia and his encounter with a stinging tree in Tasmania. We could have spent the entire day there but still had a ways to go and so we headed out. The route took us down a dusty dirt road through a relatively unpopulated area. And once again we found ourselves getting hungry and low on water. Fortunately for us, all was not lost as at least in the northeastern part of the US, you’re never far from a town. And in this case not only were we not far from a town, we were not far from Waterbury, a town with a fantastic Thai Restaurant. Not only did they feed us delicious food, they gave us water by the pitcher, Thai iced coffee for me, and filled our water bottles up with ice as well! After lunch we compared the map to our cue sheet for the Cross Vermont Trail. It looked as if the trail was going to take us on a bit of a circuitous route that would eventually bring us back to the road we were on right then. And so we made a decision then that since the traffic was light and there was often a decent shoulder on the road we would skip the trail and take the road itself. And so we continued down Route 2 bound for Montpelier. At this point though we were following a river, we began to realize we were in the Green Mountain State as the terrain had lots more ups and downs. The temperature continued to rise but we pushed through it. 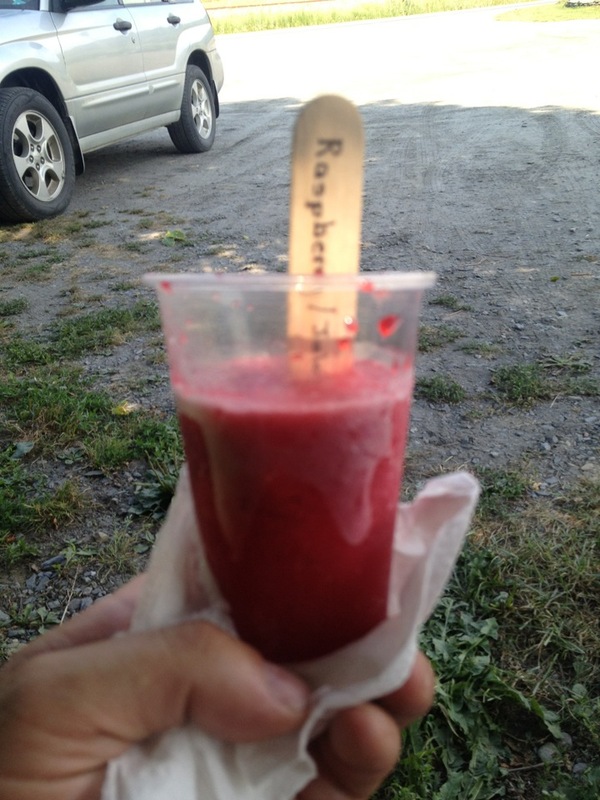 And for that we were rewarded, this time by a lovely farm stand where we were able to get not only fresh berries but Jalapeno-Raspberry Popsicles. Now you know it’s a hot day when you have a stop for a popsicle like that and then go just a few miles and are ready to stop at a dairy bar only a few kilometres from our destination. We each had creemees (I had forgotten that that’s what they called soft-serve ice cream where I grew up – how weird to forget something like that). After more frozen treats we found our way to our host’s house. And I don’t know if it’s just my luck or if it’s just bad planning but it seems that I often end up having a large hill at the very end of my rides. We had to gear down to our lowest gear and still push hard to get to the house. We were rewarded for our efforts, though, with ice water, good conversation, and food cooked out on the grill by our host, Lynn. And after dinner, because on a day like this one you can’t get enough frozen treats, we headed out for one of my favourite treats: gelato. That church is so cool and definitely beautiful enough for weddings! 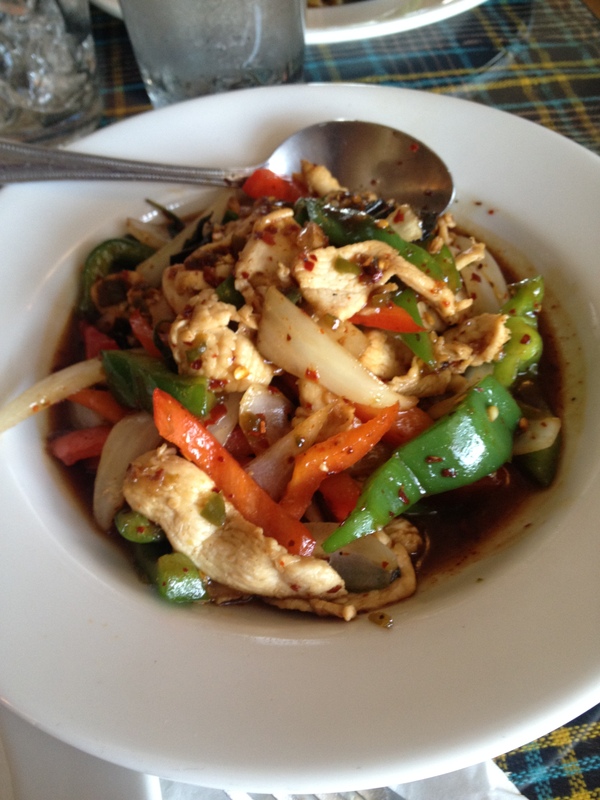 The oasis you guys stopped at looks so peaceful & the thai food looks yummy! A fresh jalapeno raspberry popsicle?! That sounds toooooo wonderful!! !